One of the things I think I thought about the most and frequently fretted over before my first baby was even born, was what kind of mama I would be when I came to discipline. Because much as I knew I wanted to be the kind of mum that was young, cool and fun, and that my children would feel were their friend as well as their mum, I had also seen enough episodes of Super Nanny to know that discipline is all sorts of important. But being a bit of a softie – and nowhere near having Super Nanny's authority and wisdom – I frankly didn't know how I would enforce this. And so clue when baby turned to toddler, and we ran into situations like crayons on the wall (the old classic), toys down the toilet and some tantrums so epic I am sure my local Tesco-staff and the shoppers in Dundrum Town Center (where they somehow tended to happen) are still shaken from the noise and rage, I was still a little baffled as to just how to discipline my spirited little girl. I don't believe in slapping of any sort, and I think yelling at children to try and get your point across must be both scary (think about your size compared to them!) and not all the effective. So what do you do then? How can you keep a one-year-old from stuffing her fingers into the DVD player? Or say to your preschooler throwing a fit because she can't have ice cream on a Tuesday? Or get your tweens or teens to respect your authority? 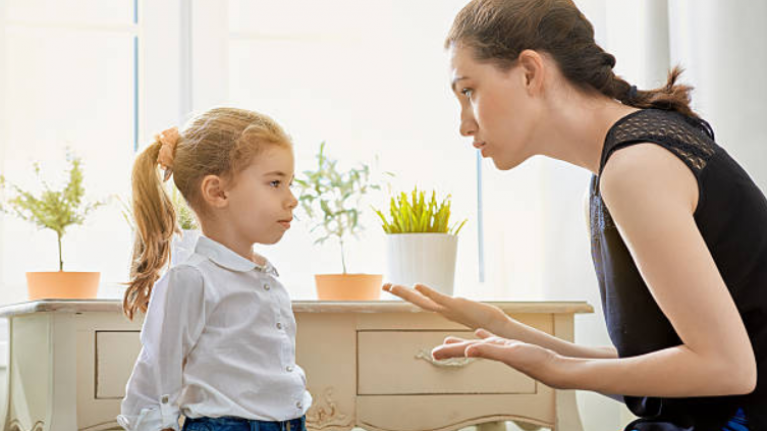 When disciplining your child, always be clear about what you expect from them and be specific about what needs to be done. Keep your tone calm and neutral, and teach rules and set boundaries if rules are broken. Be supportive when they are trying their best to meet rules and goals you have set. If it's tough to meet them, set small goals first and work towards the bigger picture. And always remember their age. What I expect from my four-year-old is different to what I expect from my seven-year-old. Respect is key. When you give it, you will get it. Repeat after me: No empty threats. They simply do not work, and can be pretty scary and confusing too. Be truthful with your kids. Mean what you say and say what you mean. Don't expect anything from them that is unrealistic or that you can't follow through on. Be consistent and take the time to follow up and check in with them. Consistency gets positive results. I found this to be a true one: Children behave better when things are calm, tidy and organized, because living with clutter and chaos can cause stress, for them as well as for us. When you take the time to keep their surroundings tidy, clean and uncluttered, and show that you truly care about it, your children will be comfortable and calm. As they grow, they will learn to take ownership of keeping their surroundings tidy too. I think that if you can make rules and discipline fun, half the battle is done. Use charts to reward good choices and behavior, make helping out into a competition and help siblings encourage each other to have good manners and to be kind. Discipline nicely. Be kind, be gentle, be patient, and root all things in love. So often studies have found that children that were slapped or yelled at will continue the same cycle when they go on to have children themselves. Make the world better by not opting for this type of discipline. Children are clever cookies, and will try their best at times to make you waver when it comes to rules, or push all your buttons at the same time just to see how far they can stretch things or what they can get away with. It doesn't mean they are bold kids; they are just doing their job: Being children. Testing rules and boundaries is how they learn about these. And so it is important that you show them how the world works. Stick to your guns, but always listen to their reasons and apologies. Believe in what you are doing, and reinforce with confidence. If you believe in what you are teaching, your children will as well. 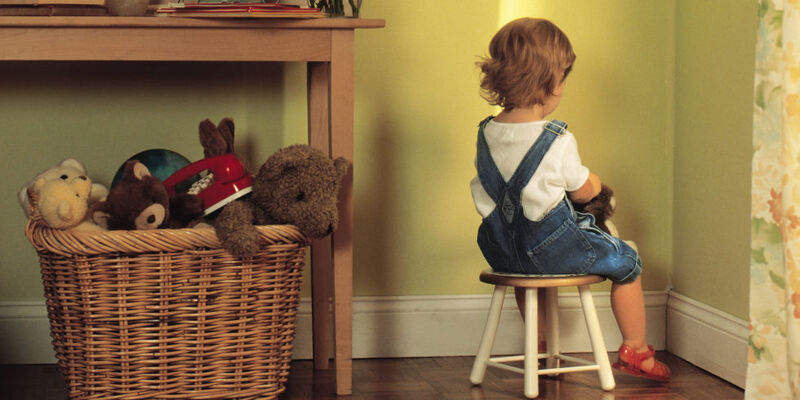 What are YOUR tricks for disciplining your children? Do YOU use naughty steps and time out? Or dish out stars and stickers for good behavior?